Cathexis Receives the 2014 PRISM Award! On February 18, 2015 Cathexis Consulting was honoured to be awarded the 2014 PRISM Award for small business by the International Coach Federation (ICF). During the ICF-Toronto chapter’s annual conference, Rochelle and Melissa were on hand to accept this prestigious award on behalf of Cathexis. 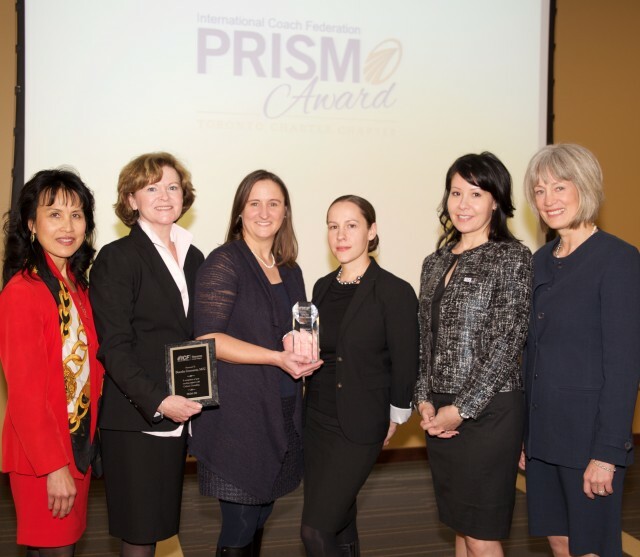 The ICF Toronto PRISM Award is presented by the ICF to honour organizations that have achieved excellence in the implementation of coaching programs for culture change, leadership development, productivity and performance improvement. PRISM Award recipients exemplify how coaching can develop an organization’s human capital by maximizing individuals’ potential, leading to high returns on investment and expectations from coaching interactions.